P.G., a Grumman TBF Avenger torpedo bomber pilot in Air Group 53 aboard aircraft carrier Saratoga (CV-3), flies nighttime missions in the Pacific War in this "autobiographical historical fiction." Dangers arise not only from the enemy but also from landing on a darkened aircraft carrier's deck. On February 21, 1945, while off Iwo Jima, Saratoga gets heavily damaged in kamikaze plane attacks as P.G. remains on board, since there was not sufficient time to get his torpedo bomber in the air prior to the attack. Pete Grant is the pen name for Paul G. (P.G.) Kuehn, who after the end of World War II became a prominent surgeon and passed away in 2016. There is no question that this novel's author realistically describes nighttime piloting of a torpedo bomber based on his experiences, but these do not necessarily translate to an exciting plot. The personal and historical portions are not seamlessly integrated. Sometimes there are large sections of historical background that have little or no direct relationship to the storyline. Other parts include unnecessary technical details. The characters introduced in the novel are not that relatable to the reader, and some of the plot surprises (e.g., beautiful woman in Hawaii who is Japanese secret agent) seem forced. Many of the events are true and are described from personal experience. The author has added fictional episodes, places, and characters. All the pilot's names have been changed except for that of the pilot to whom the book is dedicated. Some of the occurrences and incidents are stories told to the author by other pilots. Many of the historical events are true and have been researched from numerous books for accuracy of detail, although their interpretation is strictly the author's. If there are any inaccuracies, they should be considered fictional additions. This explanation leaves one wondering whether it would have been more effective for the author just to have written an autobiographical memoir rather than leave readers guessing as to whether a particular story is fact or fiction. Some tales such as a beautiful woman who is a Japanese secret agent in Hawaii and a Japanese guard who pulls gold fillings from the teeth of prisoners of war seem far-fetched in the way they are presented, but the reader cannot be certain of the truth or fiction even with these. Three chapters cover the kamikaze aircraft attacks on Saratoga on February 21, 1945. Chapter 27 describes the attacks from the perspective of Domkowski, a fighter pilot who takes off from Saratoga just before the first kamikaze plane hits the carrier. Chapter 28 gives the perspective of P.G., who remains on Saratoga since the first kamikaze crashed into the starboard side before he could take off. Chapter 29 is titled "Kamikaze Post Mortem" and tells how the heavily damaged Saratoga has to return to the States for major repairs. 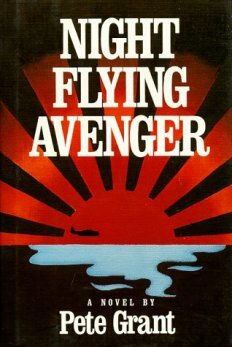 Surprisingly, the novel does not even mention the number of casualties from the kamikaze attacks, which totaled 123 dead and 192 wounded, and the number of aircraft destroyed, which totaled 36 (Fry 1996, 149). The novel states that Saratoga took seven major bomb hits by kamikaze pilots, but Rielly (2010, 180) puts the number at six. The novel generally provides an accurate historical portrayal, but a couple of references related to the history of Japan's kamikaze operations are incorrect. The chapter on "Kamikaze Post Mortem" indicates that Vice Admiral Ōnishi took over command of the First Air Fleet in the Philippines and discussed the role of special (suicide) attacks in October 1943 (p. 219), but these events actually took place in October 1944. The chapter also says that the last kamikaze attacks from Philippine bases occurred in January 1944 (p. 220), but this was January 1945 in real history. Fry, John. 1996. USS Saratoga CV-3: An Illustrated History of the Legendary Aircraft Carrier 1927-1946. Atglen, PA: Schiffer Publishing.